Of the numerous dishes that I've tried here, the Pulled Pork Benedict ($20) is my favourite! 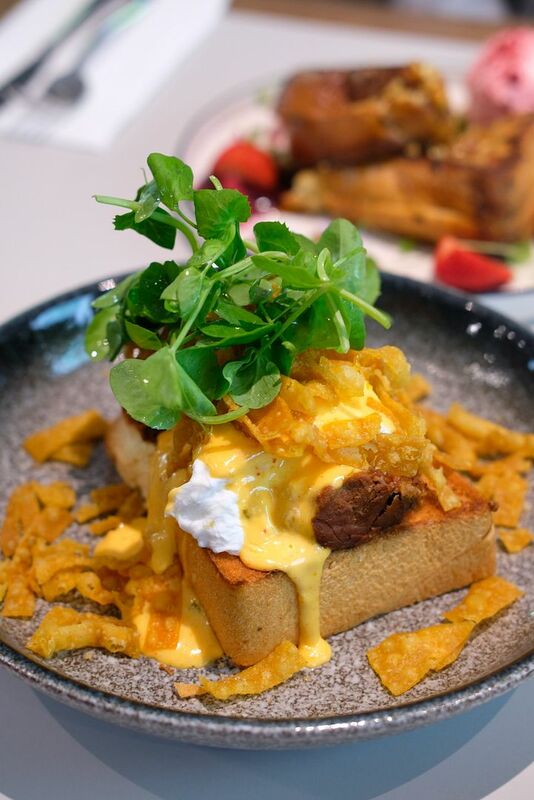 On a toasted brioche sit Korean barbecue pulled pork and perfect poached eggs which are topped with a lovely and creamy kimchi hollandaise and sprinkled lavishly with wonton crisps. 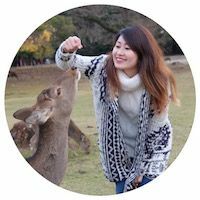 The dish was incredibly savoury and satisfying, and I love that the bright and sharp flavours of the kimchi hollandaise kept things refreshing. My second favourite has to be the Thai Marinated Duck Leg($23) which is marinated with red curry paste and served with 4 thin pieces of roti prata, bok choy, and sweet chilli cumquat sauce. The Soft Shell Crab ($22) is a light and healthy creation. 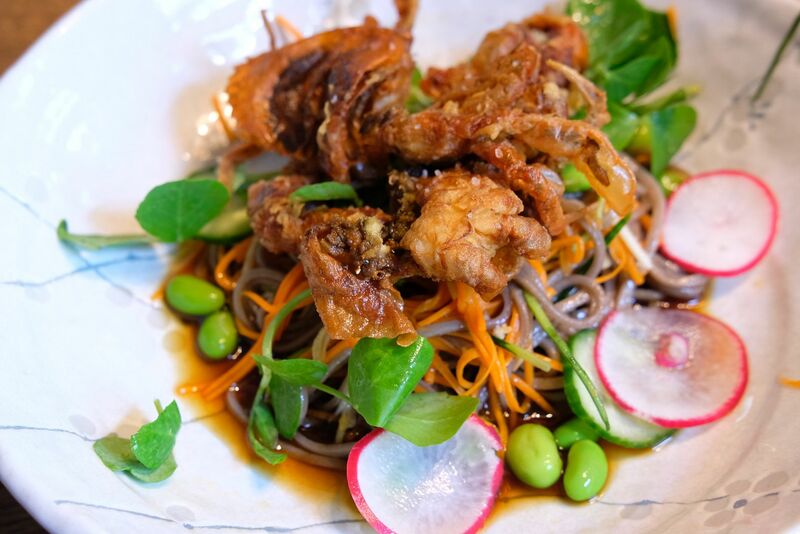 Soft shell crab is put together with soba and zucchini noodle salad, ponzu sauce, cucumber, edamame, radish and fried enoki mushroom. While the ponzu sauce whetted our appetites and we enjoyed the tangy ensemble, we found the portion too small and the soft shell crab left much to be desired. The crab didn't have much meat, and we seemed to be just chomping into fried batter. Unfortunately, the dish wasn't filling and my dining partner, who's not a big eater at all, was still hungry after wiping this clean. Another Japanese-influenced dish, the Grilled Miso Salmon ($21) was alot more substantial than the Soft Shell Crab. The salmon was tender and cooked well, and the bed of sushi rice was quite delightful when paired with the wasabi mayo. I'm not a big fan of wasabi, so the wasabi mayo was way too strong and "spicy" for me. 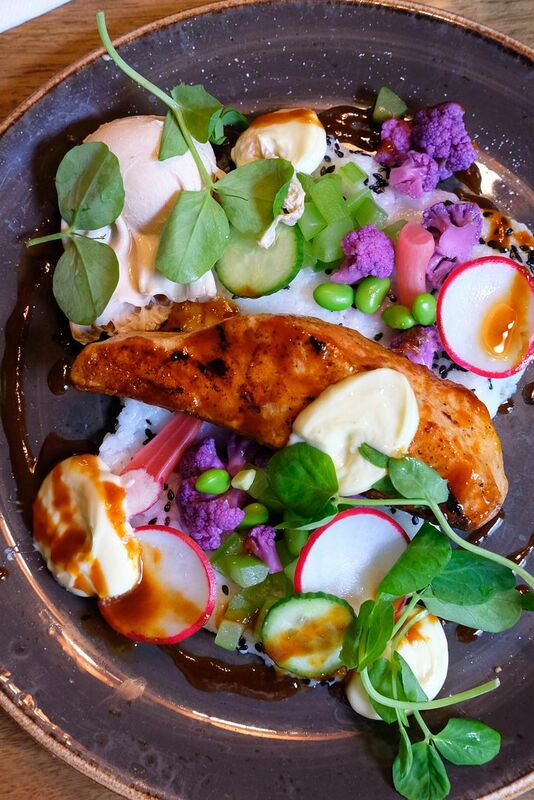 There's a soy poached egg by the side so you might want to mix it into the rice. 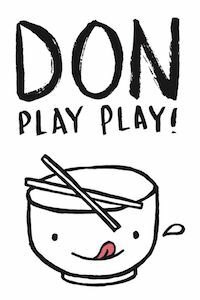 This is kinda like a salmon don I guess! Seeing Kaya French Toast($18) on the menu immediately made me wonder if the owner of Operator25 is a Singaporean! 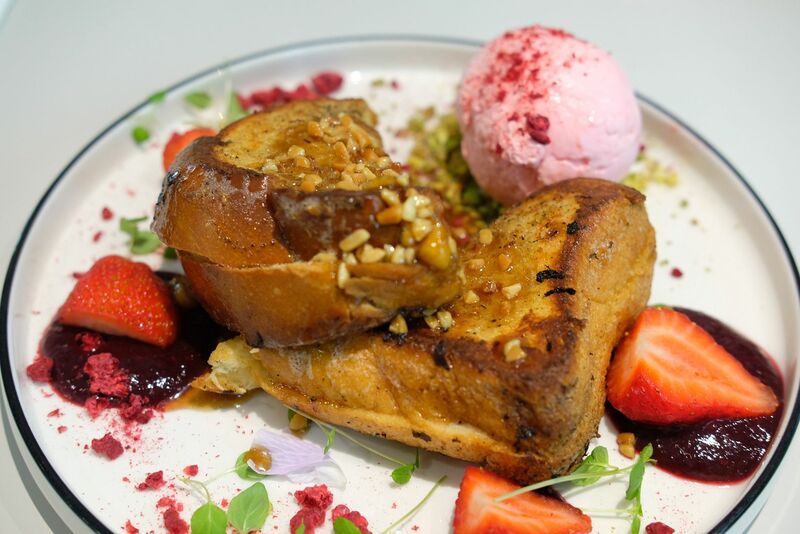 The brioche toast was slathered with kaya and accompanied by strawberry ice cream, pistachio crumbs, banana and peanut butter caramel sauce. What a sweet indulgence that's both great for brunch or as a dessert for sharing. Rocking an industrial chic decor, the popular and cozy brunch spot has outdoor seating as well, so feel free to bring your doggos! 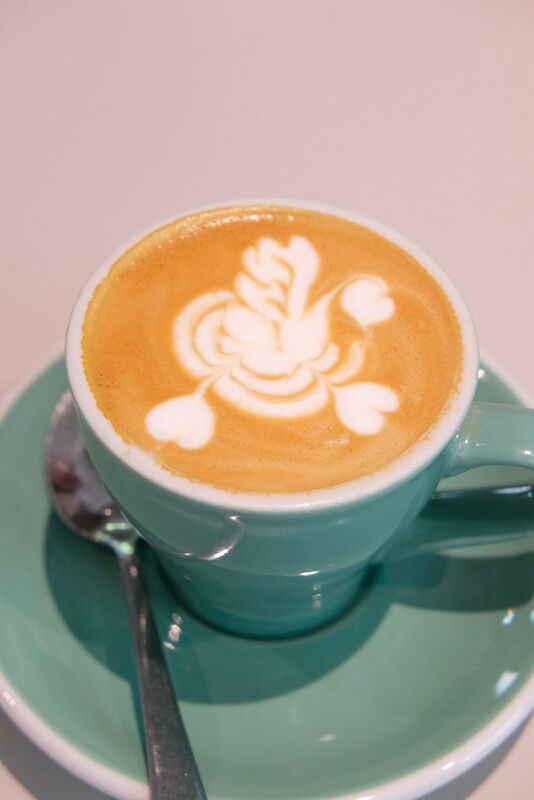 Dog-friendly cafe, awesome food, warm service, what more can one ask for?